Will Donald Trump force US allies to join his trade war with China? How soon before major allies of the United States are themselves caught up in its escalating trade conflict with China? That’s the fear haunting investors in Asian and European markets as Washington continues to ratchet up the pressure on Beijing to address what US complains are unfair trade practices, including forced technology transfers. The US share market sell-off on Monday night accelerated following a Bloomberg report that the US could introduce tariffs on all remaining Chinese imports – worth about $US260 billion ($367 billion) – if a meeting between US President Donald Trump and Chinese President Xi Jinping scheduled for the end of November fails to ease trade tensions. 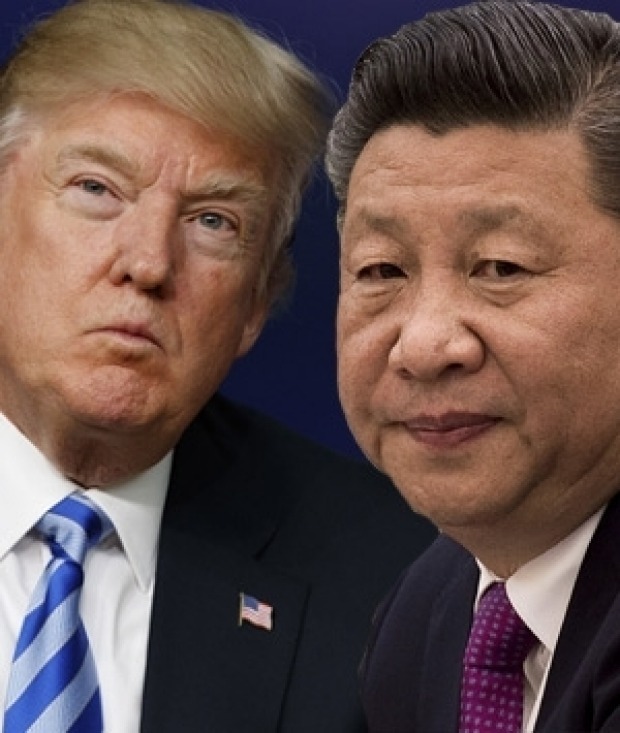 This follows reports that the US is refusing to resume trade negotiations unless Beijing comes up with definite measures to address Washington’s complaints. As the US-China trade tensions escalate, investors worry that it could be only a matter of time before third parties – such as Australia -come under pressure to declare their allegiance. As the US-China trade tensions escalate, investors worry that it could be only a matter of time before third parties – such as Australia -come under pressure to declare their allegiance with the US, by introducing their own restrictions on trade with China. Investors worry the Trump administration may be frustrated that its campaign to reduce the US trade deficit is failing. Figures released last week show the US goods deficit – the difference between the country’s exports and imports – widened to a record $US76 billion in September, up from $US75.5 billion in the previous month. This yawning gap raises doubts about the effectiveness of the Trump administration’s signature trade policy. In June, the Trump administration announced a hefty 25 per cent tariff on $US50 billion of Chinese products, and in September, it unveiled new tariffs on a further $US200 billion of Chinese goods, starting at 10 per cent, but rising to 25 per cent at the end of the year. But faced with evidence that its trade policy is failing, the Trump administration could well double down on its efforts, extending its own tariffs on Chinese-made goods, and encouraging its allies to do likewise. For its part, Beijing has issued a carefully timed reminder of the huge economic downside for any country that might contemplate joining in the US effort. Shanghai will host the first China International Import Expo and it is being inaugurated by Chinese leader Xi Jinping. Next week, Shanghai will host the first China International Import Expo, a six-day trade show for imported products. There’s little doubt the event has huge political significance for Beijing: not only is it being inaugurated by Chinese leader Xi Jinping, factories around the region have been instructed to go on holidays three days before the opening to ensure a pollution-free sky. Beijing is clearly hoping to use the event as a pointed reminder that as well as being the world’s largest exporter, it is also its second-largest importer, buying as many foreign-made goods as Germany and Japan combined. Although minerals and energy make up about 20 per cent of Chinese imports, and food and agriculture-related products a further 10 per cent, manufactured goods (including electrical machinery, computers, and cars) make up the biggest portion – about 65 per cent. What’s more, China is also the world’s third-largest buyer of services. Australia, for example, has seen its exports of services to China – largely education and travel – increase by an average 18.6 per cent per annum since 1996, reaching a value of $11.3 billion in 2016. Although the Trump administration is snubbing the Shanghai import expo by not sending any US government officials to attend, US companies have not been as disdainful. Some 180 American companies – including giants such as Microsoft, GE, Intel and Disney – have registered to attend. As thousands of foreign companies assemble in Shanghai next week, few will be oblivious to the threat of a slowdown in their Chinese sales – either from an escalating trade war with the US, or from the growing signs of fragility in China’s economy. 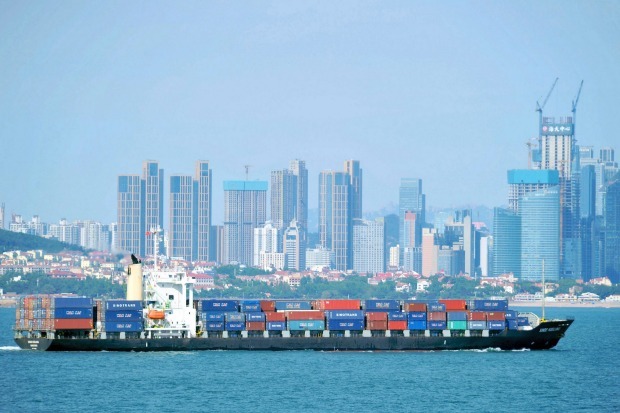 Chinese gross domestic product – its output of goods and services – slowed to 6.5 per cent in the third quarter, its weakest pace since the financial crisis. If Chinese imports were to slow in tandem with faltering Chinese economic activity, the impact of slowing sales would reverberate through the global economy. Chinese expo opens at a time that China growth slowing. If Chinese imports slow, brake on Chines growth will be felt for the rest of the world.